When trying to come up with a title for this blog post, all that came to mind was 'Lemons'. Because that's what I got. 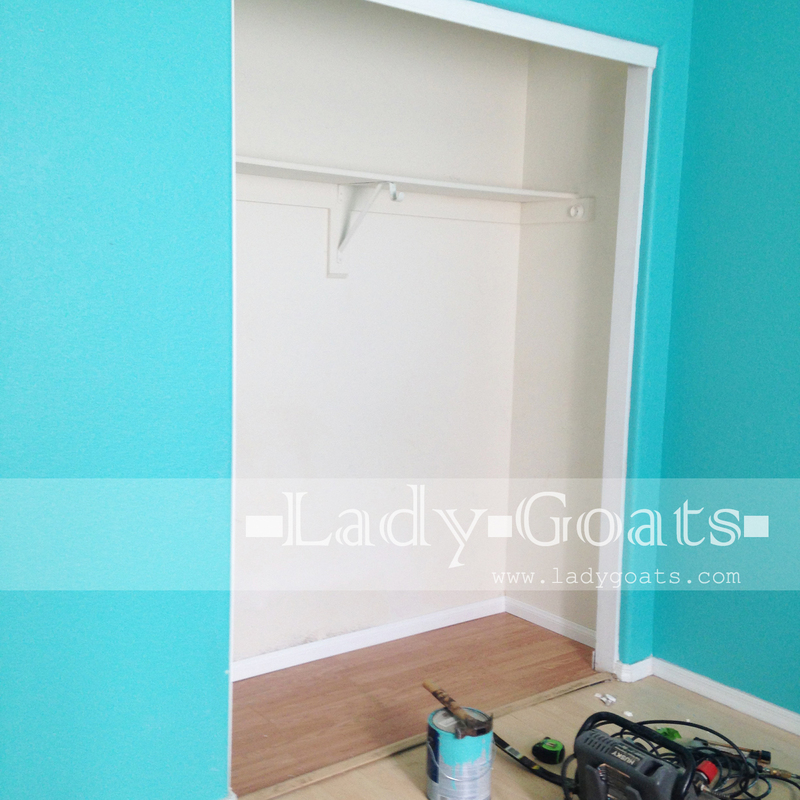 11 days ago, I was cleaning out Baby Goats' closet and found that the back corner was covered in mold. After the initial freak out (everyone does that when they find mold, right? ), then carefully assessing the situation... it wasn't looking good. Worst case scenario: Bathroom Remodel. Turns out there were no leaks and we didn't have to tear the bathroom apart! Exciting stuff, right? Except that I still had to deal with the mess left in the closet after the mold was removed. Cell phone pic of what I was left with. 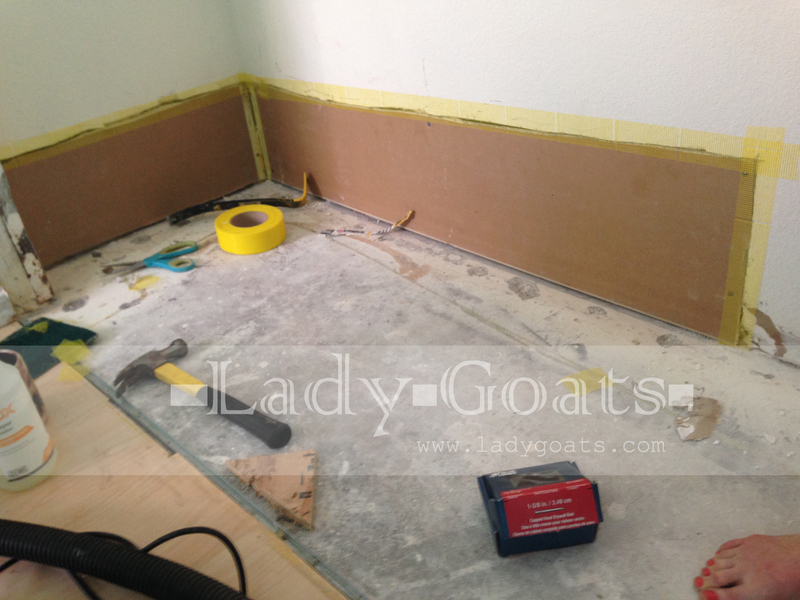 Concrete subfloor, patched drywall, no baseboards, and a whole lotta "What-the-heck-do-I-do-now?" 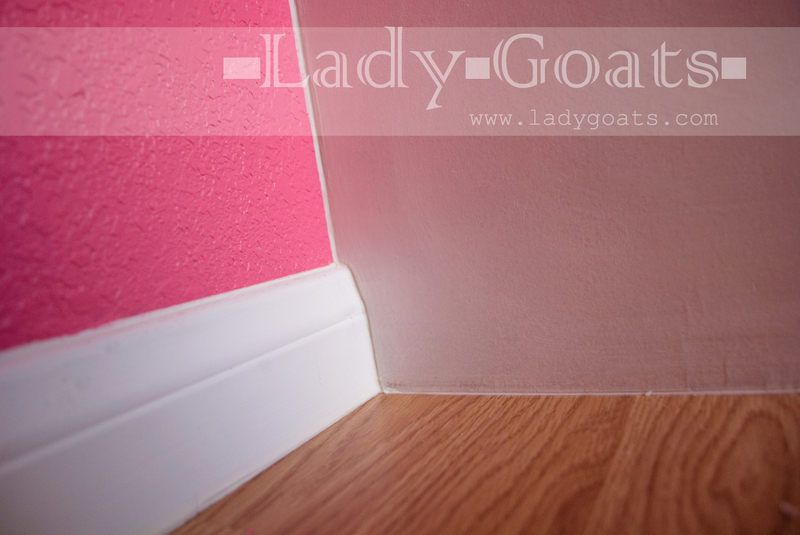 I finished drywalling and texturing the walls, added some cheap flooring and baseboards, and ended up with a closet that was pretty much exactly how it looked before I found the mold. I started out with these grand ol' plans to do a built-in closet tower, a desk, and some toy storage in there. That was before I measured it and realized that there was not enough room to do much of anything. This is a reach-in closet that measures 70" x 24', so a 2' closet tower would pretty much eat away all of the functional space (the rest is tucked into the corners and wouldn't be fun to sit in to do homework). Ahhh well! Found these plans for the closet tower from Ana White (of course!) 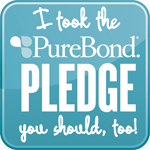 and built it from the most amazing plywood on the market, Purebond. But I modified the plans (is there ever a time that I don't?). Instead of building the tower and then building a base, I just notched out space for my baseboards with my jig saw before assembling the tower. I chose to keep the side shelves the depth of the original shelf, at just under 12". 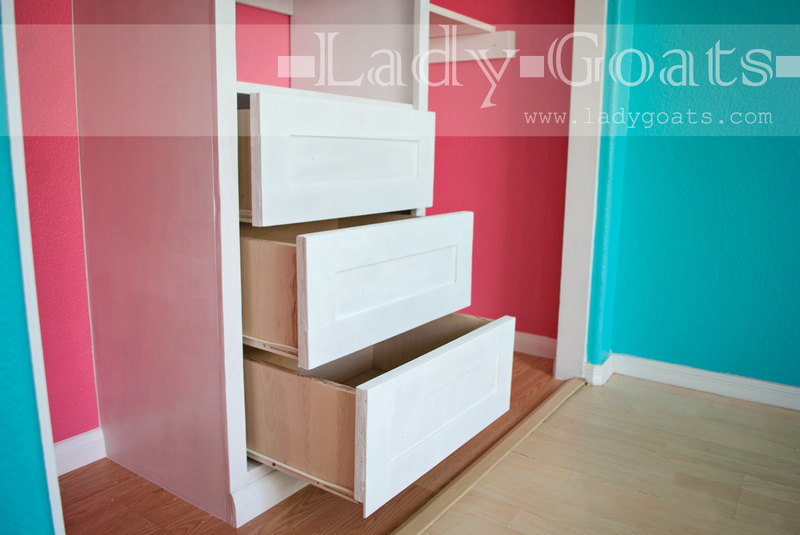 It makes the closet not feel so cramped, which is how I imagined it would feel if I did the shelves the depth of the closet tower. Also decided to do two shelves at the top of the tower, and only one short shelf so that we would have room, later on, to hang full-length dresses/coats. For now, it gets to house a giant recycle box full of stuffed animals. 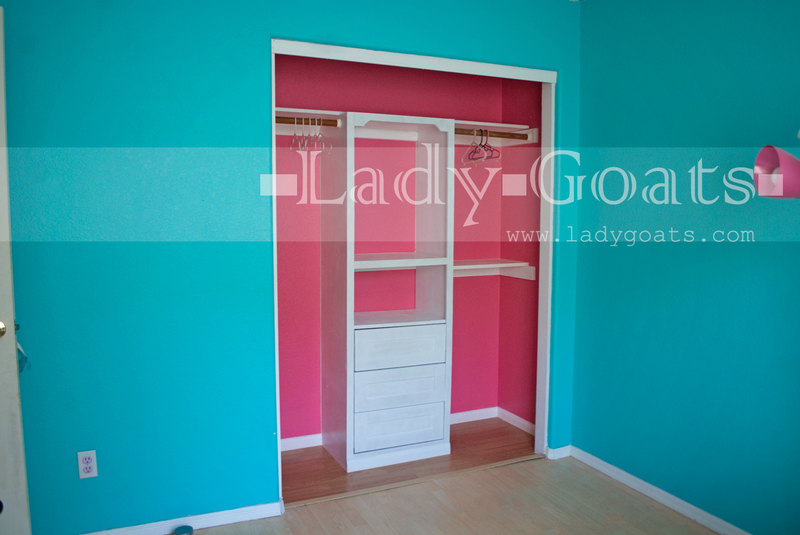 There are still some finishing touches (obviously handles or pulls on the drawers, and I have to attach the threshold), but for now, we have a livable, much more functional closet that is mold-free... and probably the prettiest "room" in the house..! Nice Gina!! Lemons to lemonade totally! 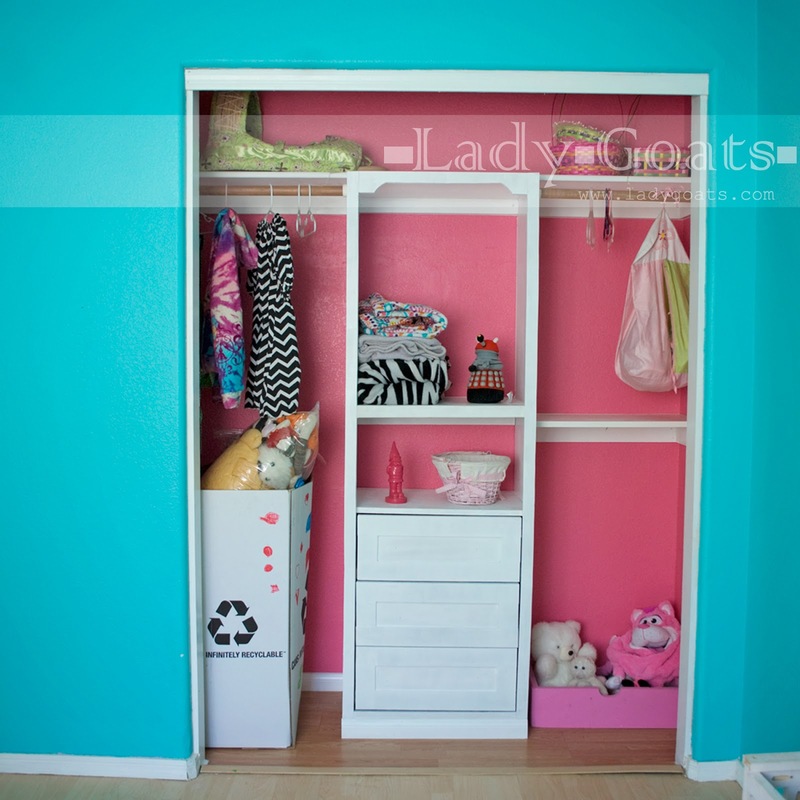 I better not show my daughter she has been begging me for a year to do her closet...eventually I will get to it! She would love the pink!! Sorry about the mold, but guess it turns out good in the end! 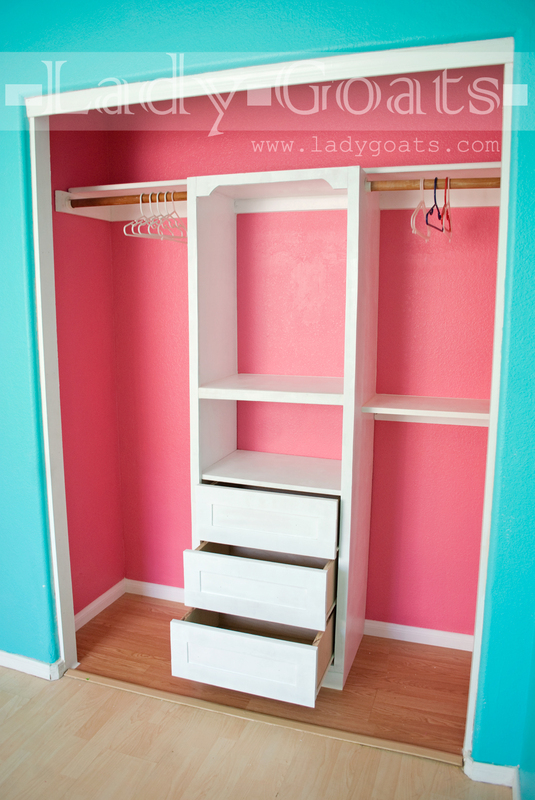 Oh gosh, I bet you're over closets right now after finishing yours! This actually totally makes me want to organize mine, but my master closet is W.E.I.R.D. No idea where to start (though I did try easy closets - it still didn't help!). I bet that, when you do get to your daughter's closet, it'll be phenomenal! Thanks for stopping by! I love the random foot in the first picture. I continue to be impressed with your creative style and can do attitude. I so want to be you when [and if] I grow up! Does that mean that I have to grow up? Because.... I DOWANNA!!!! By chance, do you remember the name of the pink and blue pictured above? It would match my daughters bedding perfectly. You mean the most perfect pink and blue on the face of this planet?! But that won't stop us; I have leftover paint with the labels on 'em! The pink is Frosty Berry by Valspar. Hi there! Do you mind if I ask, where did you get the drawer and shelve combo?